Shinjuku City Official Website > Foreign Language Top Page > Leisure > Multicultural Living Project—Recruiting Futsal Club Members! 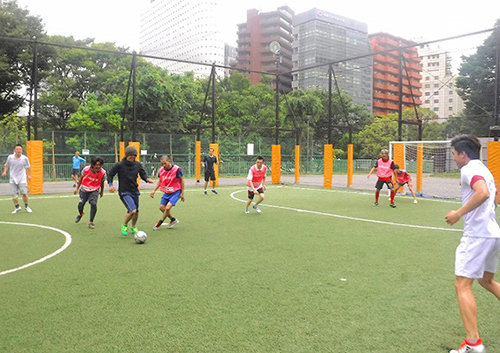 Why not have friendly exchanges with people from different cultures while enjoying futsal? First and third Wednesdays, 4 to 6 p.m. 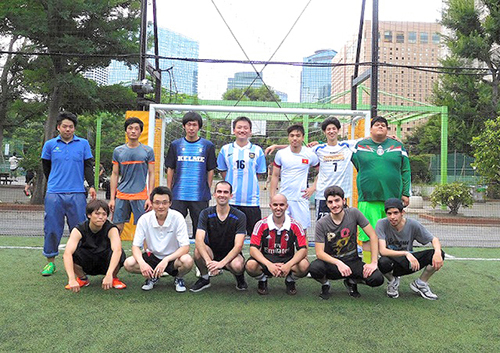 This is part of Shinjuku City’s multicultural living project that promotes friendly exchanges with international students through playing futsal. Complete the club membership application form (available at the Park Management Office and Futsal Administrative Building), and send a fax (03-3342-4510) or bring it to the Shinjuku Chuo Park Management Office.